There’s a very good chance that this time next year you’ll be playing games on Google’s new game streaming service - code-named ‘Yeti’ - that’s currently in development. You might even be playing it on a new Made by Google game console, too. The existence of both the game streaming service and the secretive new Made by Google game console were first unearthed by The Information with help from their sources. According to those sources, the game streaming service will be subscription-funded - similar in that respect to GeForce Now or PlayStation Now - as well as cloud-based. That means it will run an instance of the game on a Google-operated server and then transmit the data to your home console (again, similar to GeForce Now or PlayStation Now). This is different to Microsoft’s Xbox Games Pass approach, which allows you to download in full any of the games on the service. The other interesting part of the report is that it claims Google is developing a console of its own. It would be part of the Made by Google program, which currently includes the Google Home smart speaker, Google Pixel 2 smartphone, and Chromecast. Android TV game consoles are an area where the company has had some recent success with the Nvidia Shield but, don’t forget, that success didn’t come until after the platform hit a rocky start with the release of the not-so-loved Nexus Player. 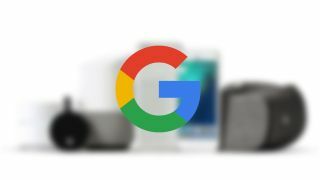 The Made by Google console and streaming service could’ve seen a 2017 release, but one idea put forward by 9to5Google says that the delay to 2018 may grant ex-Xbox and PlayStation exec Phil Harrison - who was just hired last month - some time to become better acquainted with the potential hardware and software. Is this a Chromecast console? The immediate knee-jerk reaction to this news is to believe that Google has likely designed a proper Chromecast console - one that can play Android TV games and stream video content from sources like Netflix, YouTube and Hulu. The console would avoid stepping on Nvidia’s toes if it was low-spec’d enough to sit in between the Nvidia Shield and the Google Chromecast Ultra but - due to the bad blood between Google and Amazon - would likely be missing Amazon Video, available on the Nvidia Shield. The bigger question in all this, of course, is what kind of games this new console will play. Will the console play Android TV games exclusively? Will it be able to play console and PC titles like Assassin’s Creed or Call of Duty? Clearly Google has its tendrils deep in the gaming industry, but for a streaming service like this to be successful it would need support from third-party publishers like Ubisoft, EA and Activision-Blizzard. We’ve reached out to Google for a comment on the existence of the games console and will update this article when we hear back.